Many of us move for work, family or school—but how about moving for fun? According to WalletHub, the average American spends nearly $3,000 on entertainment each year. 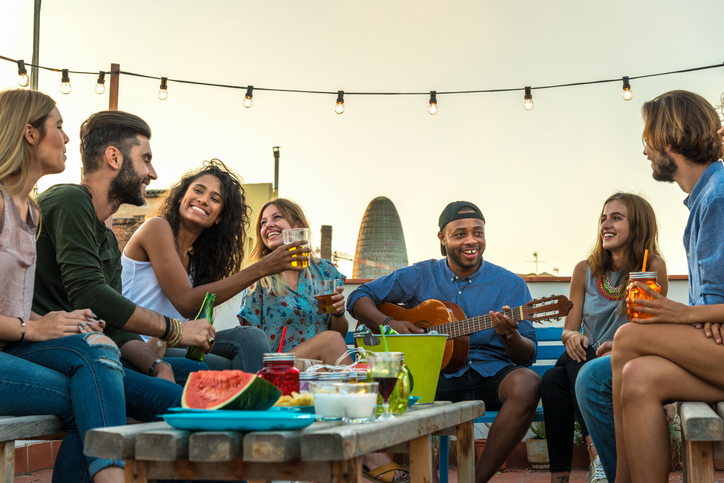 With that in mind, WalletHub recently released a report on 2018's Most Fun Cities in America. While the No. 1 city may not surprise you (helloooo, Vegas! ), some of the other list-toppers may. For instance, New York doesn't come in until the third slot, and Orlando beat out Miami, likely due to its several theme parks. New Orleans, on the other hand, is mid-list in the ninth slot, whereas Los Angeles doesn't enter until spot 13! To snag their findings, WalletHub compared more than 180 U.S. cities across 65 key metrics, looking at movie theaters, breweries, fitness clubs and more. In doing so, the study found that New York has the most restaurants (per square root of population), and the most playgrounds (per square root of population). New York also has the most bars (per square root of population), 71.5 times more than in West Valley City, Utah—the city with the fewest. Bars aside, San Francisco has the most dance clubs (per square root of population), 86.2 times more than in Plano, Texas—the city with the fewest. To view WalletHub's methodology and full findings, click here.